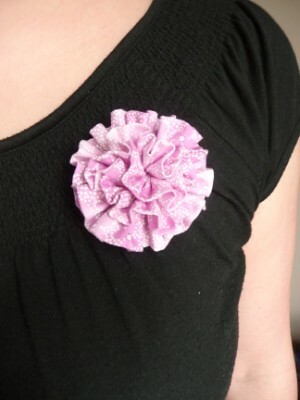 I followed the frayed flower tutorial but folded my fabric in half to get a nicer edge.. so, not frayed at all. 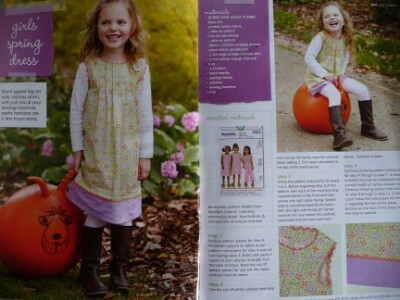 The dress on the pattern has used a unflattering see-through fabric and buttons which really don't do it justice.. I'm so amazed by the Get Creative article and how if you select the right fabric and make slight alterations, you can turn a dowdy dress pattern into something amazing. I can't wait to have a go at this myself. You are one crafty lady:) and I love that!